Noticeably different from store-bought blooms. Grown here in Central Indiana. "Wow, these are so beautiful!" Our flowers are grown using organic practices. We use fish emulsions and chicken manure fertilizers, along with other organic fertilizers and compost. Our flowers are harvested several times per week. We strive to sell only fresh, healthy flowers that will have a vase life of a week. We grow approximately 40 varieties of flowers over the course of the season. Our growing season lasts from April through October, with anemones starting the season and dahlias finishing it—pretty spectacular bookends. We grow everything outdoors (no greenhouses or hoophouses). This limits our growing season, but it also limits infrastructure expenses and insect and disease issues. 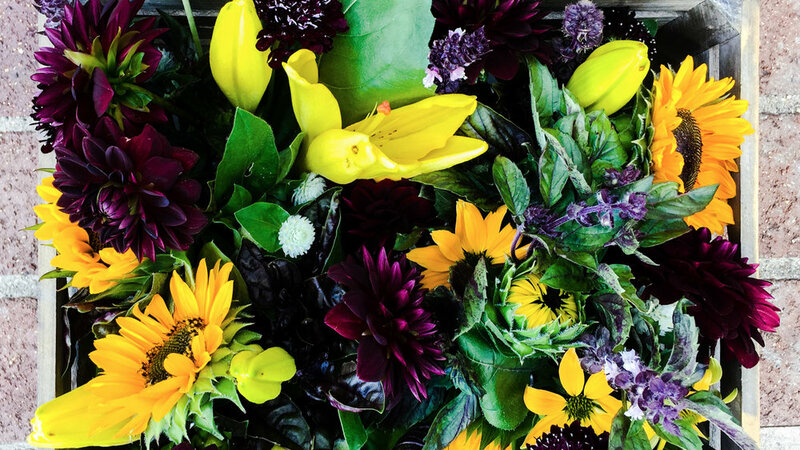 We utilize partner farms in Central Indiana to source flowers we cannot grow on our farm. 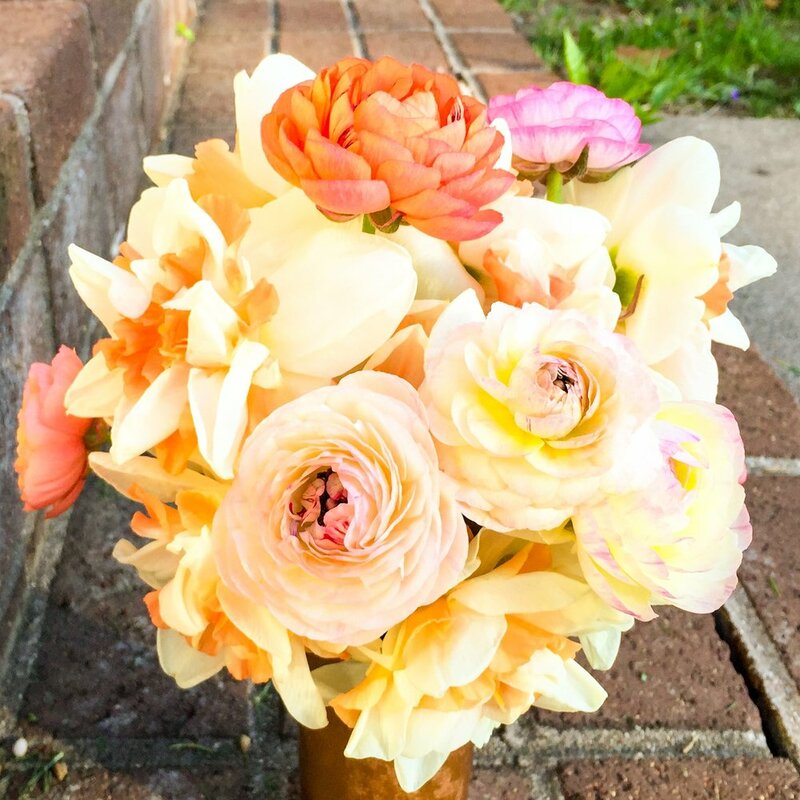 These flowers include lisianthus, ranunculus, delphinium, peonies, and more. We also source other local farms' flowers when we have a crop failure, or when we make a mistake in our planting schedule, or when we simply don't grow enough of a certain item. This has happened a lot in the first year of the farm, and we'll work to improve our practices every year.